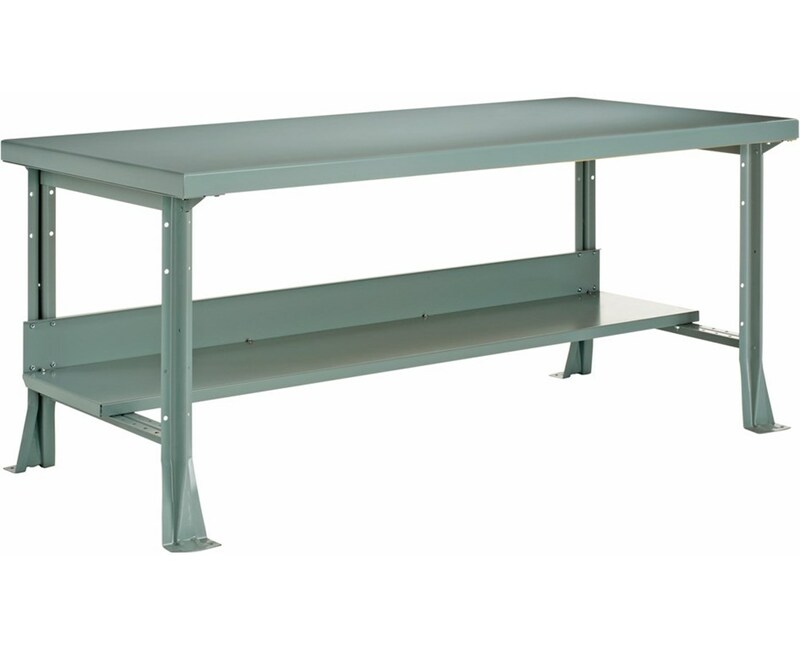 Featuring a heavy duty gauge steel frame, the Diversified Steel Workbench provides a sturdy work area for garage, shop and vocational classrooms. It includes a three quarter deep lower shelf and a rear stringer to add to the workbench durability. Its legs are designed with special feet that can be mounted to the floor for extra stability. The Diversified Steel Workbench top is made of a 12 gauge steel wrapped over a two-inch thick core. It is designed for extra heavy duty applications. 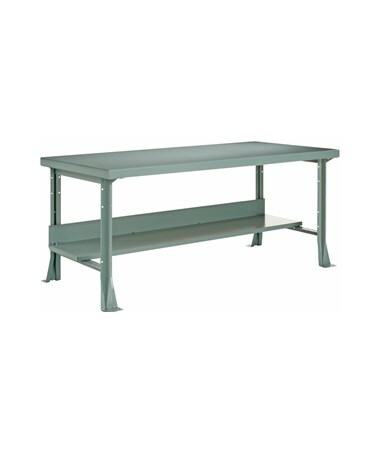 This high-quality workbench comes in a powder-coated gray color finish that helps resist corrosion. This steel workbench is easy to assemble. Choose from a wide selection of available sizes suitable for different needs. Made in the U.S.A., the Diversified Steel Workbench is SEFA compliant and MAS Certified Green. It is also backed by a limited lifetime warranty. The Diversified Steel Workbench is available in eight different sizes. Please choose from the menu above. Width 48, 60, 72 or 96"